We can help you provide a fantastic setting for your upcoming corporate event. Try activities such as wine blending for a team building exercise, or simply have the use a beautiful space in a lovely country setting for a company get-together. We have worked with companies such as Lego and Genisis, providing a unique experience like no other. Do you have an important anniversary coming? Or would you love a beautiful setting for that family reunion you’ve been planning? 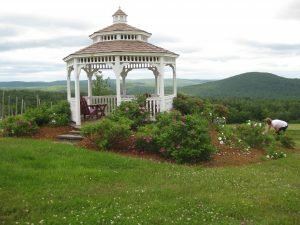 Avigliano at Honora Winery and Vineyards is perfect for any life celebration! Honora offers you a fantastic venue to create the party of your dreams! Our beautiful 6,000 square foot event center with a 200 guest capacity is nestled in between two of our vineyards. The French doors that surround the building allow beautiful views from every direction. It is also complete with 2 hand crafted mahogany bars, 6 wrought iron chandeliers and to enhance the ambiance of any event there is a four-sided stone cut fireplace in the center of the space. Our hand cut stone patios are perfect for an outdoor setting at your event.